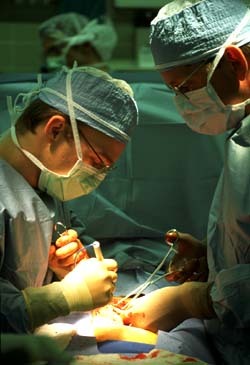 The LSU School of Medicine offers the Early Decision Program (EDP). If an applicant wants to apply for EDP, certain rules must be followed. The earliest date to apply to AMCAS is June 1, 2018. The latest date to apply to AMCAS is August 1, 2018. The latest date to complete file in Admissions Office is normally September 1, 2018. The MCAT must be taken allowing time for the scores to be on record by September 1, 2018. Ordinarily, only applicants with a 3.5 grade point average in the sciences and at least a 75th percentile on each section of the MCAT are considered. However, all applicants are eligible to apply for EDP. The applicant may apply only to the LSU School of Medicine in New Orleans and may not apply to any other schools prior to being informed of LSU's decision. The applicant will be informed of this decision on or before October 1, 2018.. If the applicant is accepted, the applicant must accept and he/she may not apply to any other medical schools. If the applicant is rejected or placed on hold, then he/she may apply to other medical schools. If the applicant is not accepted Early Decision, the applicant then goes into our regular applicant pool. If the applicant who is accepted violates the terms of the acceptance, he/she is considered to have committed an irregularity and other schools to which he/she applies are informed. The MD/PhD program of LSU Health Sciences Center New Orleans was established to offer the opportunity for students to train in a program tailored to their individual research interests and medicine. Through this program, students who have an interest in research and academic medicine will combine the curriculum of the School of Medicine with the curriculum of the School of Graduate Studies. Over seven or more years, individuals in the program meet the degree requirements of both the Schools of Graduate Studies and Medicine, thus acquiring the knowledge, skills and experience to begin careers in exciting areas of medical and translational research. It is expected that students graduating from the program will develop into academic physician scientists obtaining faculty positions in basic science or clinical departments in schools of medicine. MD/PhDs will provide leadership in academic medicine and in research related to medicine and human welfare. Acceptance into this combined program must be approved by the School of Medicine Admissions Committee and the MD/PhD Admissions Committee. Accepted students are given a tuition waiver throughout the MD and PhD portions of the program and a stipend during Graduate School and the last two years of Medical School. If at any time during the student’s tenure at LSU School of Medicine in New Orleans, the requirements for the MD/PhD program are not satisfied, the student will be required to reimburse the school for any tuition he or she may have received while enrolled here as a medical student. MD/PhD applicants must be accepted into the MD program before being considered for the combined degree. Please Note: The Deadline to apply for the MD/PhD Program through AMCAS is November 1, 2018; The Secondary Application and letters of recommendation must be completed by December 15, 2018. Applicants are encouraged to complete their applications as early as possible in order to be considered for an interview for the School of Medicine. MD/PhD applicants must be interviewed by the School of Medicine Admissions Committee by the end of February in order to be considered for an interview in early March by the Ph.D. Sub-committee. Make an impact as a physician improving the public's health - and start on an exciting and meaningful career path - with the new LSU 4-year MD/MPH (Master of Public Health) Dual Degree Program. The new program integrates curricula in the School of Medicine and School of Public Health to prepare medical students as excellent clinicians who can improve public health through application of knowledge and skills from one of five public health disciplines. BCHS practitioners and scholars learn to identify and understand the role of individual, social, cultural, and bio- behavioral determinants of health. Students will be able to design, implement, and evaluate interventions and policies aimed at improving, promoting, and protecting the health of their patients and the population as a whole. Biostatistics students develop knowledge of statistical methodology to apply to the study of living organisms and challenges in clinical medicine. Students learn to investigate health problems and identify solutions to improve public health using advanced statistics and quantitative methods. Environmental and Occupational Health Sciences students learn to recognize the public health implications of environmental and occupational factors, with a focus on reducing risk related to exposure to toxins in the environment to better protect human health. Epidemiology trains students to analyze determinants and distribution of human disease to determine public health trends, design and implement studies, and interpret the results for policy and program development. Physicians use epidemiologic tools to investigate disease origins, conduct research, and develop intervention strategies to prevent disease and promote health. Health Policy and Systems Management students are prepared for managerial, consulting, and leadership roles in the health services sector. They study and apply the principles of health systems management, with special emphasis on quality, cost effectiveness, and information systems. To learn more about the LSU MD/MPH Program, contact us! The school accepts 4 students into this program every year. They are admitted as second year medical students in conjunction with their selection for residency in oral maxillofacial surgery. The school of medicine accepts their dental education in place of the first year of medical school. OMS residents are placed on an unpaid leave of absence from residency during this year. They are enrolled in all medical school classes and clerkships beginning with the clerkship preparation course. OMS residents remain on unpaid leave through the beginning of this year while they take clerkships during the first 5 blocks of their senior year of medical school. The required clerkships are specified below. These clerkships are scheduled by the Office of Student Affairs. The OMS residents cannot practice under their DDS license (e.g. write orders or prescriptions) while on leave from residency and enrolled as a medical student on medical school rotations. Beginning in the sixth block of the senior medical school year, the residents are no longer on unpaid leave from residency. They work under the supervision of the OMS faculty in their residency program for the remainder of the year. They are released to attend the senior special topics course, and for medical school graduation. They are required to take and pass the USMLE Step 2 exams in accordance with the policies of the medical school. The primary purpose of this program within the School of Medicine is to increase the number of LSU New Orleans medical students who select a primary care career. Outcome Measure: The number of LSU School of Medicine graduates who practice primary care after completion of residency/fellowship. The Primary Care Program (PCP) will nourish and sustain the medical students at LSU School of Medicine in New Orleans who express an early interest in primary care. The PCP includes three pathways: Rural Scholars Track (RST), Rural Experience (RE), and Urban Experience (UE). The program accepts any student who desires inclusion, depending on the availability of small group slots and curricular experiences. Students interested in the RST complete an application during the medical school admissions process, as outlined below. Students interested in either the RE or UE but not in the RST indicate their interest by checking the appropriate box on the admissions application. Enhance the curriculum to include experiences/coursework integral to primary care. Increase the number of LSU New Orleans medical students who are exposed to curricular requirements and electives that emphasize primary care. Increase the proportion of students who select primary care residencies. Reduce the proportion of LSU primary care residency slots that go unfilled in the primary match. Increase the proportion of LSU medical school graduates who match into LSU primary care residencies. A Primary Care Program Committee oversees the program under the guidance of the Family Medicine department. The committee is chaired by the Family Medicine Department Head and includes the director of AHEC, primary care faculty, representatives from the Office of Undergraduate Medical Education, current RST or PCP students, and residents who were former RST or PCP students. The focus of this committee is developing curricular experiences that emphasize primary care. Faculty members will facilitate the identification and assignment of preceptors within the UE and RE pathways. This committee assesses the program in its entirety annually and reports to the School of Medicine’s Curriculum Steering Committee. Representatives from the Admissions Committee ensure that the Office of Undergraduate Medical Education is apprised of matriculating PCP students, their status with respect to their respective chosen pathways, and annual changes to PCP student rosters. Matriculating PCP students are assigned to a Clinical Skills Integration (CSI) group that has primary care physicians as role models and mentors. A percentage of the small group sessions or cases in these CSI groups are modified to emphasize primary care issues. Students who join the PCP after matriculation may stay in their originally assigned CSI groups if so desired. PCP students participate in selected online modules that address topics of interest to primary care, including medical homes, writing case reports, and motivational interviewing. PCP students apply for the AHEC PCE-120 elective, a four-week summer primary care elective, with a stipend, and assignment to work with a board certified primary care preceptor. Students receive preference for acceptance into the program. There may be opportunities for summer research projects for students also wishing to participate in this. PCP students participate in residency-sponsored primary care journal clubs, with presentations in the third or fourth year. PCP students participate in the nutrition elective and/or the inter-professional care management program as their longitudinal selective in the second year. The directors of the Global Health Elective provide PCP students with preference for the opportunity of participation, depending on the number of available positions. PCP students will be required to write a primary care case report with a resident/faculty member and submit it for publication. PCP students can apply for participation in the Student-Run Free Clinic and then assist in the clinic if selected. PCP students participate in periodic Primary Care/RST workshops. An RST Subcommittee of the Admissions Committee evaluates applicants who indicate an interest in this pathway. This subcommittee would evaluate these applicants only after acceptance into the School of Medicine. This could occur during the admissions process, before entry into medical school as a first-year student, or later on in the first or second years of medical school. The subcommittee rates the student applicants based on criteria of desirable characteristics for the RST. The subcommittee makes recommendations to the Dean of the School of Medicine that we accept those with the highest ratings/rankings into the RST and offer them a scholarship, as described below. The number of selections for this pathway varies from year to year, depending on the availability of funding. RST students are notified of their acceptance into the RST as soon as possible so that they may take the awarding of the scholarship into account in terms of decision making surrounding their medical school acceptance. As stated above, students may also choose to be considered for this track sometime during their first or second years of medical studies. RST students receive tuition waivers for up to four years of medical school. RST students are not eligible for the Patrick F. Taylor scholarships. A signed contract commits the awardee to practice in a Louisiana rural area approved by the committee, for 15 months for every year of a tuition waiver. Students who accept the RST scholarship must sign a contract. RST students are subject to the rules outlined in the contract for medical services after graduation from residency. Default on the terms of the contract is subject to a financial penalty. RST students participate in the RST Interest group. RST students are required to spend all third year-required clerkships in Lafayette, Louisiana. RST students attend one full day per week in a longitudinal experience with a primary care preceptor during their third year and a portion of their fourth year when not on away rotations. Preceptor-days are flexible from week to week depending on individual clerkship schedules. RST students spend one month/block of their fourth year with a primary care preceptor. RST students maintain contact with the RST program throughout medical school and residency and the years of practice for which they are obligated to serve under the contract they have signed during the enrollment process for entry into the RST. PCP students who do not wish to commit to or are not accepted to the RST may choose the RE pathway. They do not receive a tuition waiver, nor are they required to choose a primary care residency. RE students are eligible to apply for Patrick F. Taylor primary care scholarships. Awardees sign a 2-year contractual agreement that provides tuition assistance in their third and fourth years of medical school with a commitment to primary care practice in Louisiana for every year of tuition assistance. Specialties eligible for scholarship include: Family Medicine, General Internal Medicine, General Pediatrics, Medicine-Pediatrics and Geriatrics. Patrick F. Taylor awardees are subject to the rules outlined in the “contract for services” after graduation from residency. Default on the terms of the contract are subject to a financial penalty. RE students are expected to commit to participation for four years. However, students who decide they are not interested in primary care may opt out of the program at the end of each academic year without penalty. RE students join either the RST Interest group or an interest group in one of the eligible primary care specialties. In their 3rd year, RE students attend one half-day per week in a longitudinal experience with a primary care preceptor who is based in a rural setting. Half days are flexible from week to week depending on individual clerkship schedules. RE students may choose to do their clinical years at the Baton Rouge Branch Campus or the main campus in New Orleans. Baton Rouge Branch Campus students complete all of their third year clerkships in Baton Rouge and may do away rotations anywhere during their fourth year, including rotations out-of-state. New Orleans students enter the clerkship lottery and receive assignments in Lafayette for many of their rotations, if desired. If requested by students, they may complete all of their clerkships in Lafayette. Students will complete their Family Medicine clerkship at a rural site. PCP students who do not wish to commit to or are not accepted into the RST may choose the UE pathway. They do not receive a tuition waiver, nor are they required to choose a primary care residency. UE students are eligible to apply for Patrick F. Taylor primary care scholarships. Awardees sign a 2-year contractual agreement that provides tuition assistance in their third and fourth years of medical school with a commitment to primary care practice in Louisiana for every year of tuition assistance. Specialties eligible for scholarships include Family Medicine, General Internal Medicine, General Pediatrics, Medicine-Pediatrics and Geriatrics. UE students are expected to commit to participation for four years. However, students who decide they are not interested in primary care may opt out of the program at the end of each academic year without penalty. UE students join either the RST Interest group or an interest group in one of the eligible primary care specialties. In their 3rd year, UE students are required to participate in a longitudinal experience with a primary care preceptor who is based in an urban or suburban setting. This requirement is for one half day per week. Half days are flexible from week to week depending upon the individual clerkship schedules. UE students may choose to do their clinical years at the Baton Rouge Branch Campus or the main campus in New Orleans. Baton Rouge Branch Campus students complete all of their third year clerkships in Baton Rouge and may do away rotations anywhere during their fourth year, including rotations out of the State of Louisiana. New Orleans’ students enter the clerkship lottery and are likely assigned to Baton Rouge or Lafayette for some of their rotations, as are non-PCP students. By 2020, an estimated 107 physicians will have graduated from the RST. It is anticipated that all of them will practice primary care in rural or underserved areas of Louisiana. There are a variety of research programs underway in the Medical School which offer accepted students interesting opportunities for work during the summer vacation. The work is stimulating, challenging and educational. Not only will the student be able to learn more about the medical sciences, but the student will also be exposed and become more involved with a particular project while working alongside faculty and other students to possibly contribute new knowledge to a particular area of the medical sciences. These jobs are not necessarily designed exclusively for those who are seeking careers in research or in academic medicine but are also designed for those who would like to know more about research and what it involves. The experience may help make the student a better physician in the future. It will also strengthen the student’s curriculum vitae which may assist in obtaining a residency position, particularly if a publication results from the work. However, before deciding upon a summer research project, some consideration should be given to goals. While any of the research programs available will add to the medical experience and be beneficial to the student’s career, some involve a more in-depth commitment than others. This is especially true if one is considering applying for the Honors Program, described elsewhere in this document. There are a variety of programs to which the student can apply for stipends during the summer including: American Heart Association of Louisiana, Inc., Cancer Society, March of Dimes, LSUHSC Medical Student Summer Research Fellowships and individual research grants of the faculty. The Student Affairs Office has application forms from several of these agencies. The Honors Program at LSUHSC supplements the regular curriculum and is designed to challenge the exceptional student while stimulating the interests of the individual. It entails an independent research program which encompasses basic and clinical sciences in the pursuit of a problem of specific interest. Students who have achieved a high academic standing during their first semester in medical school are eligible for consideration. Interested students may apply between February and May of their freshman year. Additional information and application forms may be found at www.medschool.lsuhsc.edu/honorsprogram/ or may be obtained by contacting, Dr. Paula Gregory, Chairman of the Honors Program Committee, Professor, Department of Genetics at pgrego@lsuhsc.edu Acceptance into this program is based upon information provided in the application, an interview with the Honors Program Committee, and the submission of an outline of the proposed research project.